When I first starting running, the weight seriously poured off me. I loved seeing those pounds melt away..which in turn made me love running even more. For a long time after that, I found I could eat just about anything and not gain a single pound. I'm not going to lie to you. It was glorious. However, times have changed. My body has changed. And so has my weight. I went from 130 to 145 in a year with super slow running times. Gasp! I know. Some people would be ecstatic with 145. Trust me. I used to be so happy in the 140-150's. Nothing wrong with 145. Nothing at all. But then I got a taste of what it felt like to be in the 130's and I didn't want to go back. Silly. I know. My weight has been all over the place lately. 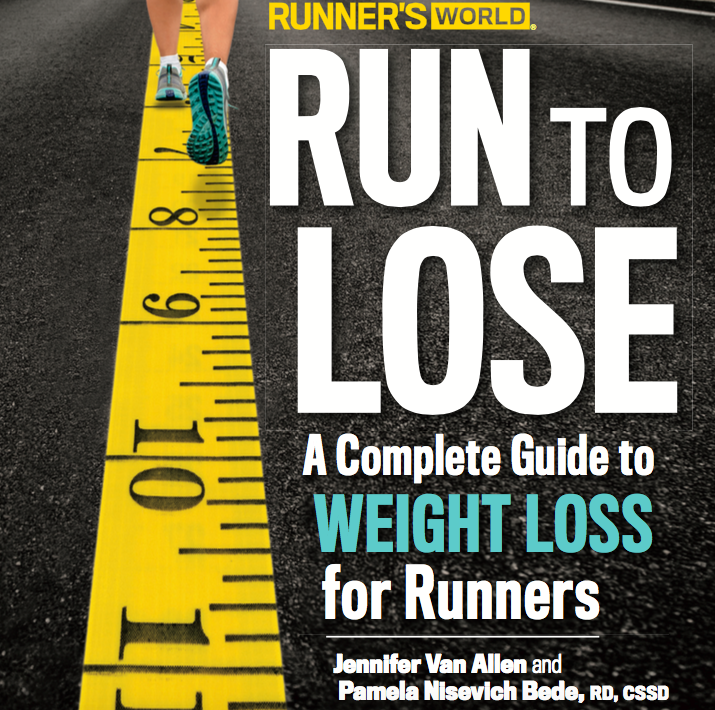 I've been feeling frustrated with it so when I received an email asking me to review Runner's World: Running to Lose Weight. I thought it made complete sense to get this book and see what is all about. First of all. I seriously love the chapters and the layout of the book. The authors, Jennifer Van Allen and Pamela Nisevich Bede, compiled all of the information you can think of and put it in one place. 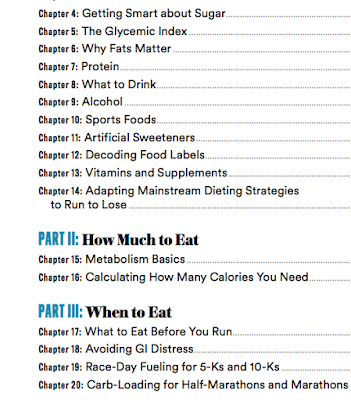 I'm not going to share ALL of the chapters with you... but here's a quick snapshot so you can get excited. The book begins with a quiz, that trust me. It will take some time to complete. But don't skip over it. It will stop you and make you think about you. Your weight. Your body. Your health. Your goals. It will help you focus on what you need to focus on. * How many hours a day do you sit? * What diets have your tried? * Do you keep a training journal? There are 50 of these questions. So be prepared to really think. I would write your responses down on a separate piece of paper so you can revisit your answers as you progress toward toward your goal. What do I like the most about this book? I like that it's a fabulous reference tool. Lately I've been experiencing GI distress (thank goodness for treadmill runs and indoor plumbing!!!). So, what do I do? I flip to the GI distress section of the book. Yeah, that section is in here. Wondering what kinds of foods you should eat for certain types of workouts? Yeah, the fabulous authors added that in there to. 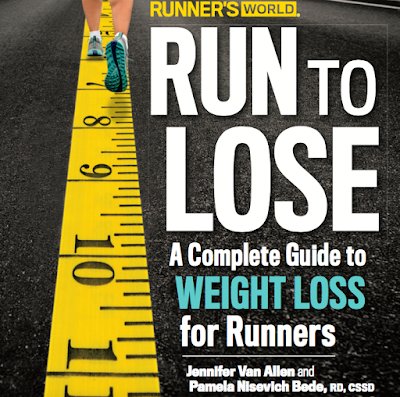 This is a book every runner needs.... we all go through phases of weight loss, weight gain. 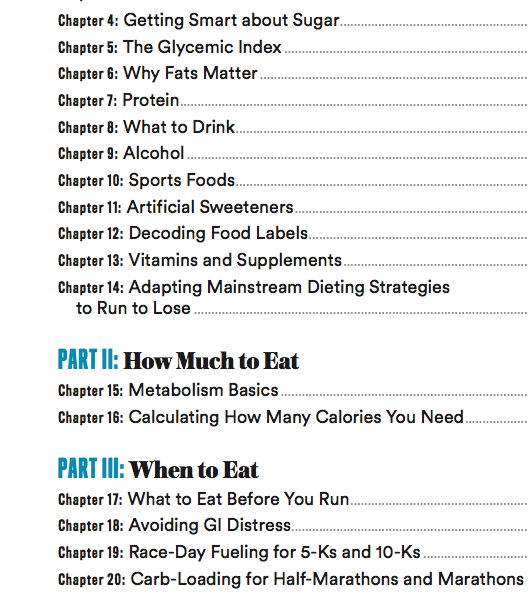 If you're gaining and to sure why and might want some additional resources to help you out...then GET THIS BOOK!